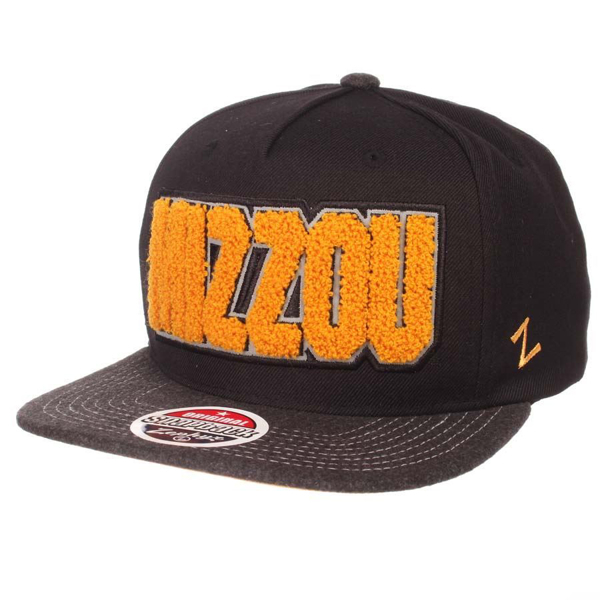 Enjoy a time-honored tradition while wearing this smooth and daring Missouri Tigers Zephyr Jock Snapback Cap. The snapback enclosure, high crown, flat bill and thick raisedm chenille letter embroidery highlight the hat's "woven" look. Choose your favorite team and wear this strikingly handsome NCAA adjustable hat all day and every day. University of Missouri Scripty Satin women hat!! !